We are now in October, some of you maybe aware more than the others of the pink wave, the breast cancer awareness month. For those who don't know, you can click here to have some information about this disease and how detect it in its early stage. So today I will be all pink in my layout. I made it for my next beginner class, with only two sheet of white paper, stamps (Prima Marketing, Inkadinkado) and pink inks (Tattered Angels, Colorbox, Studio Calico). 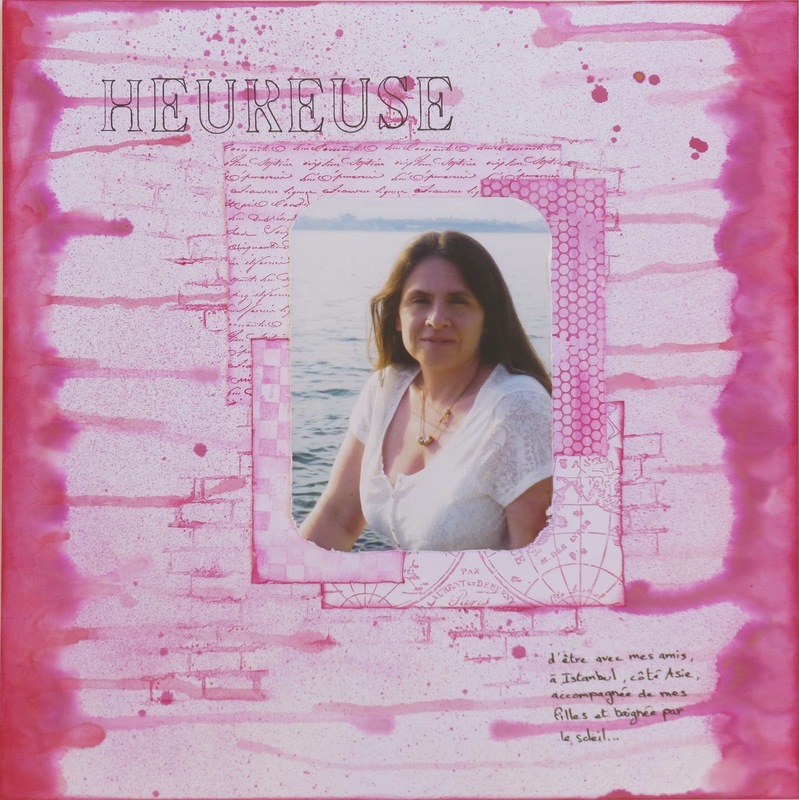 The title "heureuse" means happy for a girl. And if you could read french, you will learn that this happiness cames from a moment. I think happiness is made of these kind of moments, like the sum of tiny amounts of joy, laugh, beauty, love.. you can find everyday. So be happy a million times today, and the day after, and the day after... and don't forget to talk about breast cancer and ways to detect it with all the women (and girls) around you. Your layout is amazing! Love the techniques you used and what a great layout for a great cause. Beautiful!